The trio violin bands are able to play any song according to the tune of their violin. When it comes to any live performance at event, then our trio violin band can do rock. The audiences will enjoy their performance. The violin band’s performance is contemplated as a main attraction of the musicals shows which are conducted at many personal, corporate, public or social events. At Artist on Demand, our trio violin bands are available in order to showcase their talent all over the India. Our Violin player performs in two ways either as a part of live band or solo performer. Generally, 3 or more violinist plays the violin at one time. The performance of trio violin bands is coordinated properly. In this type of band, many times each violin artist performs together or performs on a specific segment. In order to master the art of violin, our Violin Artist has been undergoing years of practice. High skills and training makes a violinist in order to stand out in the artists’ crowd. 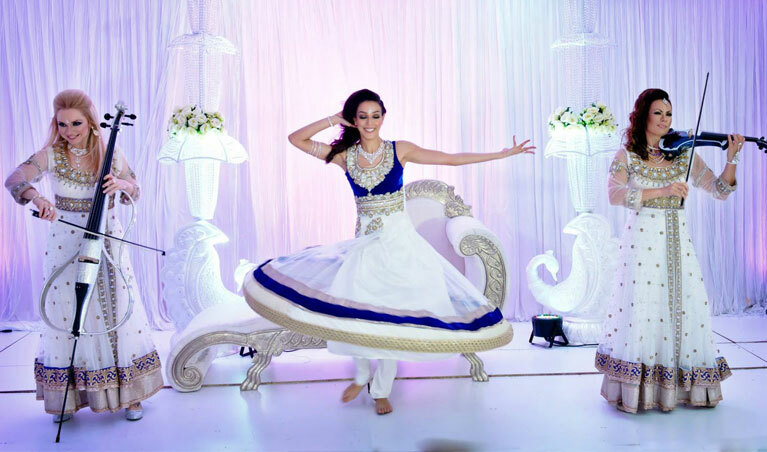 Our artist knows the art of entrancing the senses of audiences in any occasion. At Artist on Demand, our team is experienced at playing for dinners, conferences, weddings, garden parties as well as similar events. We get several positive feedbacks for our service. Moreover, our great players can perform all over the India as orchestra, chamber and soloists musicians. If you are looking to trio violin band for your event, then you should contact us. We ensure you that your large number of audiences will enjoy and attract from our live music performances by our trio violin band. As we all know that the Live music play an important role in the entertainment industry. Our Violin player comes into role at the event of live show. Thus, you should try our service once, you will surely like. Feel free to contact us for making your event memorable!